I absolutely want one of these! 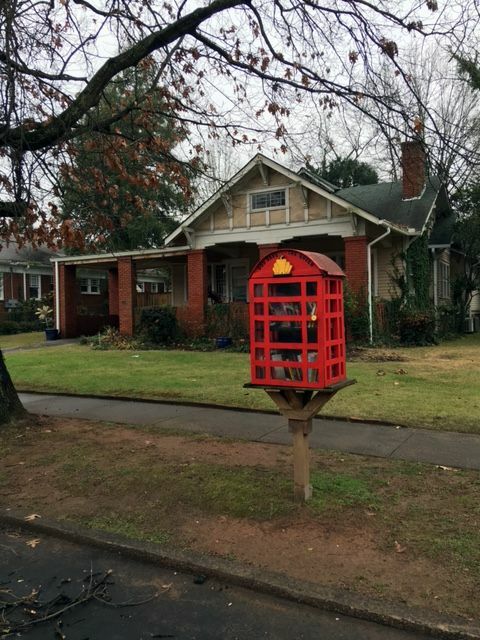 I would fill it full of cookbooks and maybe even a treat or two if someone decided to come to my Free Little Library. Aren’t these the cutest? 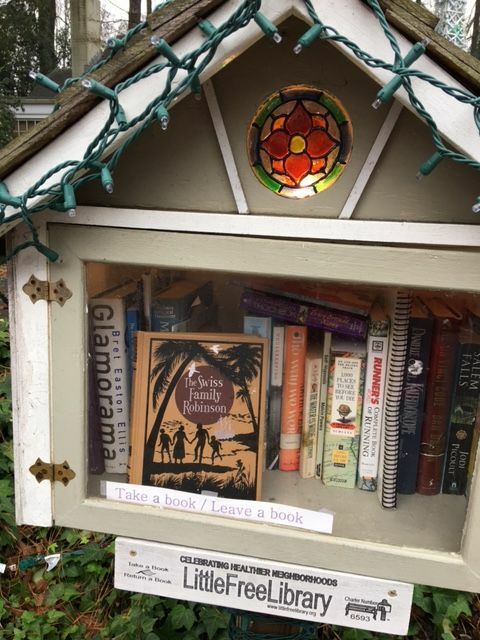 There are over 32,000 Free Little Libraries around the world. 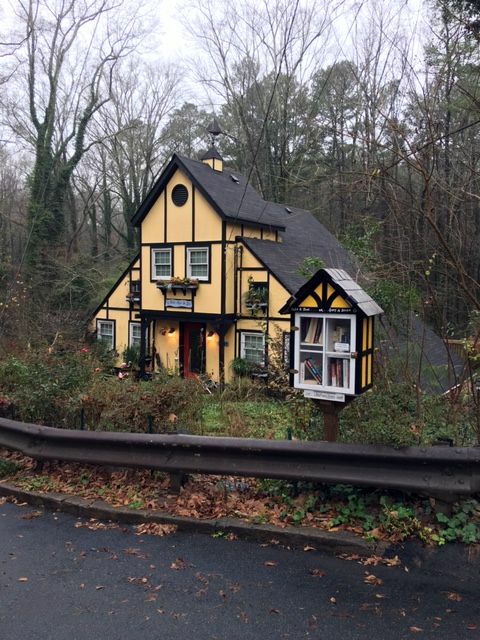 These 4 are located in College Park, GA near the Atlanta Hartsfield-Jackson airport. I took a peek inside this one. 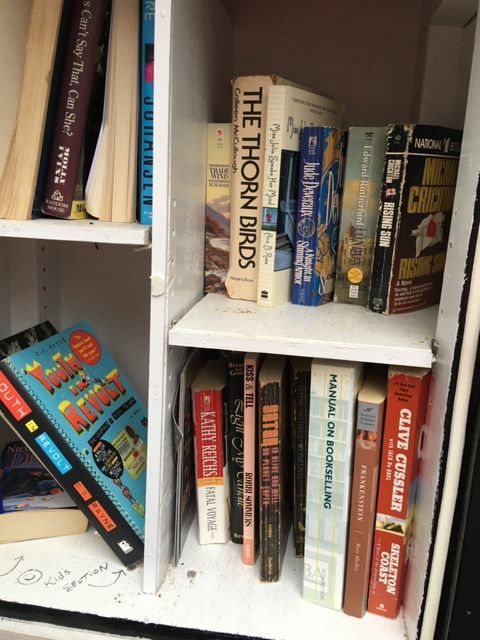 Janet Evanovich is pretty good but my favorite title has to be “Free to Choose” as you are welcomed to choose a book to take and enjoy. Many of them match the houses of the owners who built them. 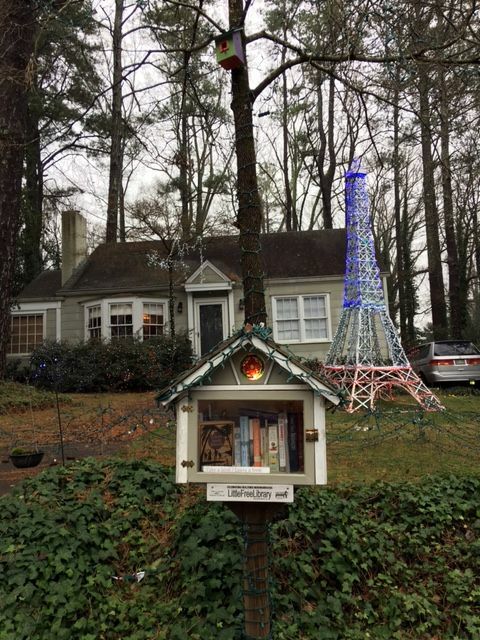 I’m not sure if you can tell a lot about the owners from the book selection. 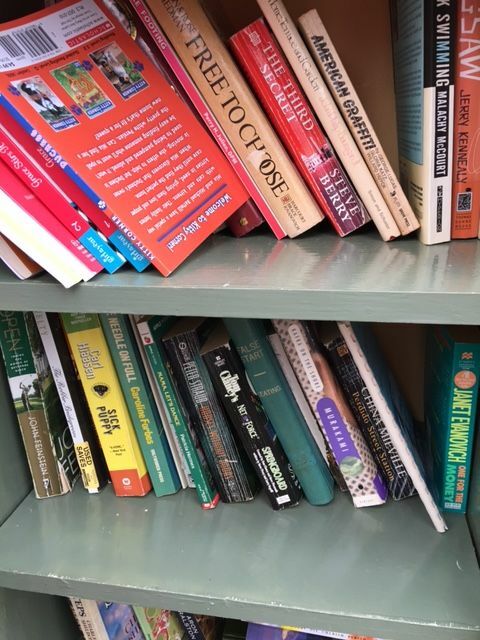 Are these the books they love and want to share or are these the books they didn’t like and want to get rid of? My armchair psychology fails me. This next one has a Little Library and a little birdhouse. The lighted stained glass was a delight. It is hard to tell but it is lit from the inside. The exterior lights are from their Christmas display. 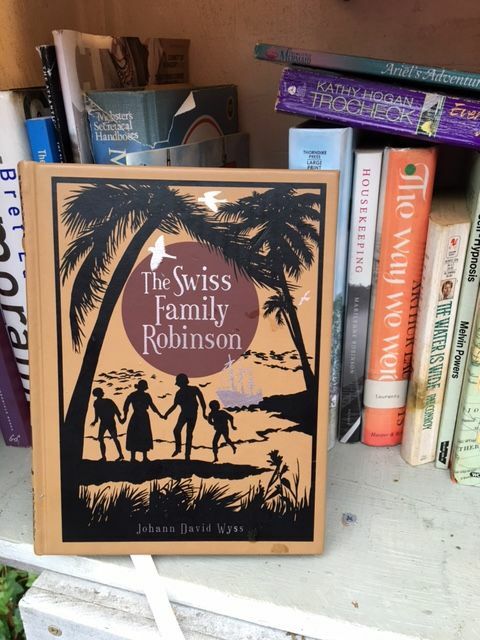 The Swiss Family Robinson. You can’t lose with a classic. 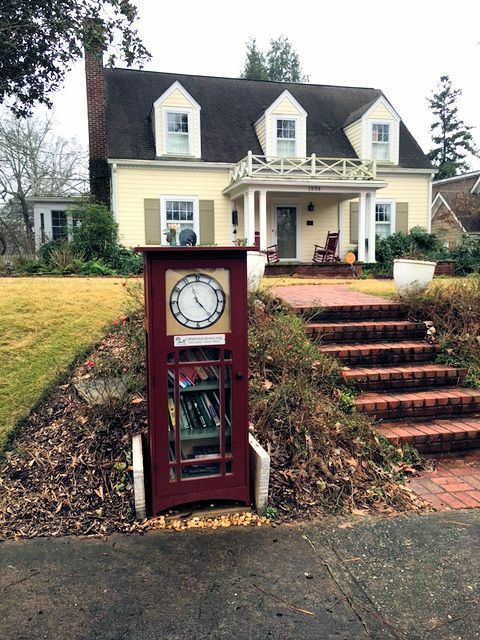 I had fun with on my Little Free Library adventure. I hope these tiny treasures don’t become obsolete from Kindles and eReaders. That would certainly be a loss of literary charm for all. Love, love this blog….I had never heard of anything like this.